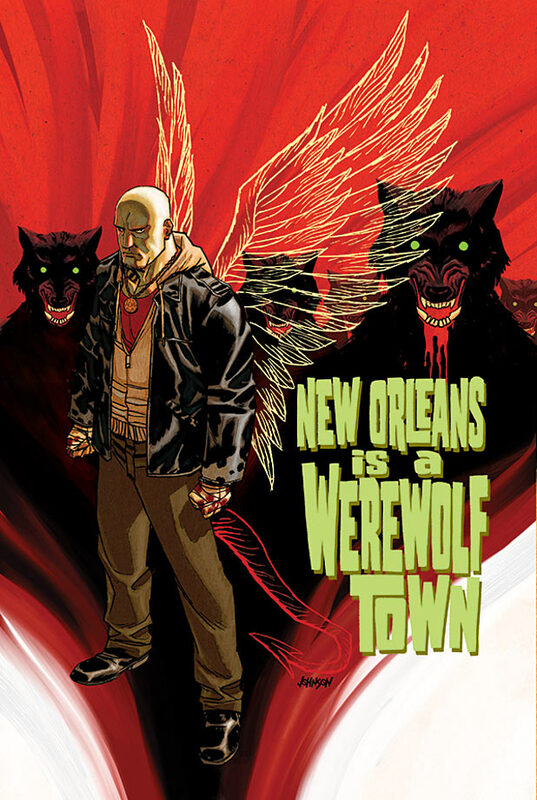 We can’t put this any better than they do at Dark Horse: “Cassian Steele is the boss of the werewolf mafia in the Big Easy, and he’s got a problem. The old witch Verona knows his secret and has gone into hiding. Cassian wants her dead. So he sends out the word: An open contract. The first monster to dust Verona gets a big payday. What no one realizes is that Barnabus Black, a demon desperately trying to regain his halo, is her protection.” Kiss Me, Satan! is a new full-color miniseries written by Victor Gischler (Buffy the Vampire Slayer: Spike—A Dark Place) and illustrated by Juan Ferreyra (Colder). Find out a lot more at Comic Book Resources. Then look for the premier this September.